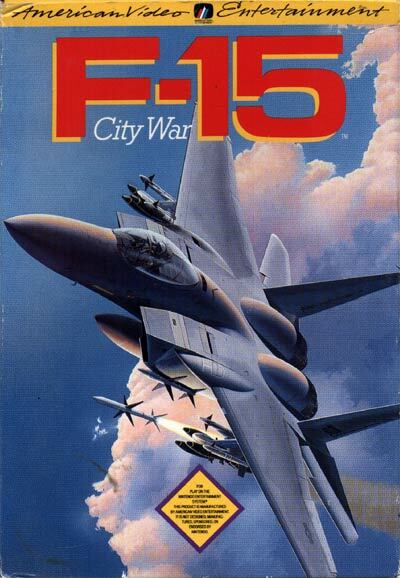 F-15 City War is an unlicensed arcade style flying game from American Video. You fly an F-15 with unlimited ammunition into battle against a seemingly endless stream of generic tanks, helicopters, gun boats, missile silos, jets, robots, and a large boss at the end of each of five levels. Gameplay alternates between two perspectives, a 3-D view from behind your plane and a top down scrolling view.